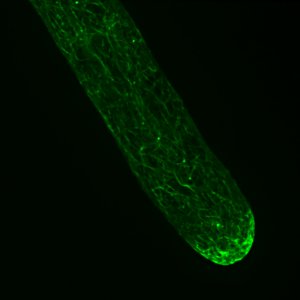 By removing the cell walls from moss tissue, it is possible to generate a suspension of single cells called protoplasts. 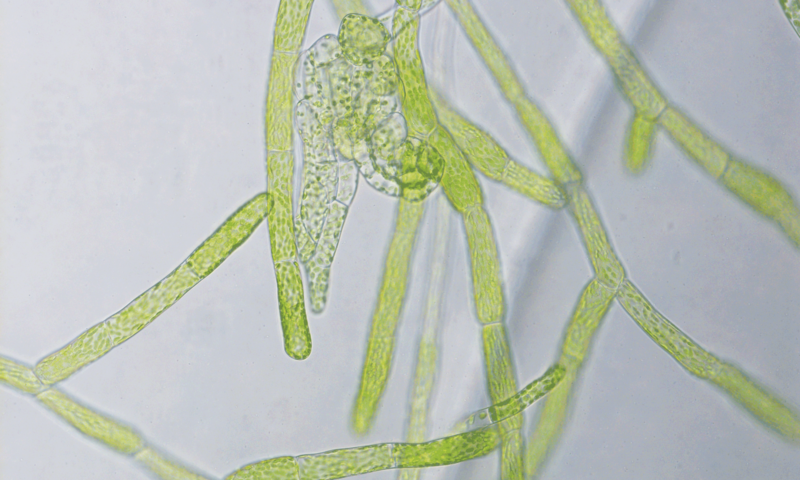 Moss protoplasts can be transformed with DNA and then regenerated into whole plants. For details on this procedure, please refer to the moss manual. Click on an assay to learn more. Moss protoplasts given the proper growth conditions will regenerate into a whole plant within a few days. Thousands of plants can be regenerated. Taking pictures of the plants, it is possible to get measurements of overall plant size and shape. Moss performs RNAi-induced gene silencing. Double stranded RNA can be generated by transformation of DNA constructs containing inverted repeats of the sequence targeted for gene silencing. Our laboratory uses a robust RNAi assay that enables rapid identification of gene function. Complementation studies provide validation of loss-of-function studies and mechanistic insights into gene function. By targeting untranslated regions of sequence, RNAi-induced phenotypes can be rescued by expression of a construct containing only the open reading frame. 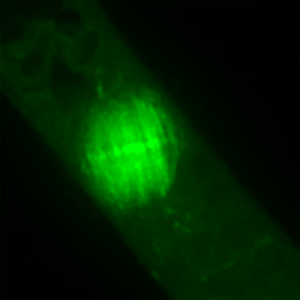 A kanamycin-resistant line expressing GFP:GUS localized to the nucleus. 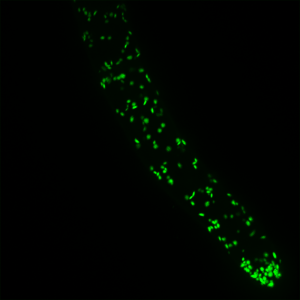 A hygromycin-resistant line expressing YFP targeted to the Golgi. A kanamycin-resistant line expressing Vam3-mEGFP (mEGFP targeted to the tonoplast membrane). 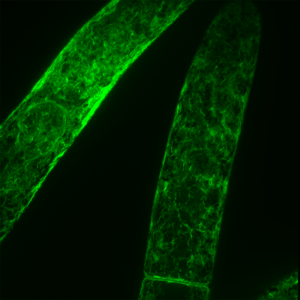 A hygromycin-resistant line expressing mEGFP targeted to the endoplasmic reticulum. 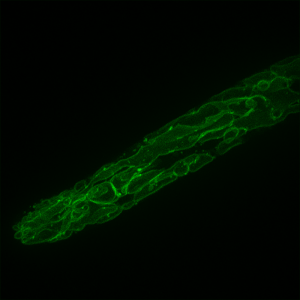 A kanamycin-resistant line expressing mEGFP-tubulin. A hygromycin-resistant line expressing Lifeact-mEGFP. 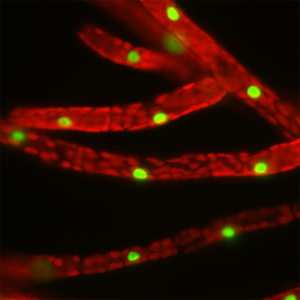 A hygromycin-resistant line expressing mEGFP targeted to the peroxisome.